By joining the Carers' Passport service, you can support discounts for family carers and caring friends, and give back to your local community. 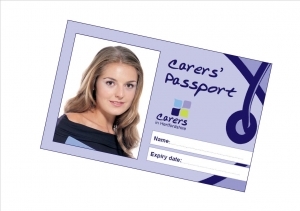 "I just want to thank you for the Carers' Passport. I get absolutely no help whatsoever and this is the first. So grateful. 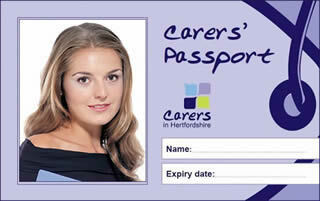 Thank you to all at Carers in Hertfordshire for their work and kindness." "I've been a carer for 10 years, so I know what it means. That's why I wholeheartedly support the Carers' Passport - it's a really worthwhile cause and I hope the community gets behind it." Caring costs, and it is hard for carers to get out and do the things they want to do. With a discount from you, carers will have the chance to do something different as well as have a well-earned break from the stresses and strains of caring. With us you can give something back to the community and help us reach more carers in need of support. We'd love to hear from you wherever you are! For information on other ways you can help unpaid family and friend carers, click here.